However, the purpose of today's headline is to allow us to continue the theme, but in this instance, it refers to the Sun Odyssey 490's little sister, the even newer 410. This is the craft you can see in the imagery throughout this editorial. You'll notice that on her quarters this particular vessel carries the word 'Performance', denoting she has the taller stick that adds 3 sq m to the mainsail. 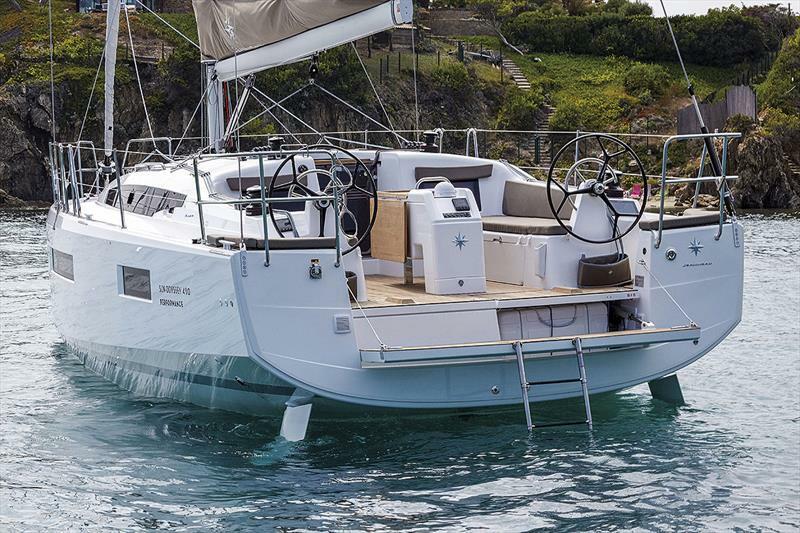 Jeanneau Australia inform me that first craft into Australia will be a Performance version. She arrives into Sydney during April 2019, and premieres at the Sydney International Boat Show, and she may possibly be the first I will see in the flesh. I am under the impression that there is a real hope she is ready for Sail Port Stephens, as well. Now we ran a picture of her from Cannes, where she had been unveiled to the world, and immediately visible were the Open 60-esque boom angle, chamfer, slab sides, and chines that the entire range carries. It all stands for speed and manoeuvrability. So to get the real deal on it, I spoke with her designer, the impressive Marc Lombard. The main thing I really wanted to establish was how he and his team approached the 410 to fit into the new Sun Odyssey look, yet deliver its distinctly different visual markers, as well. 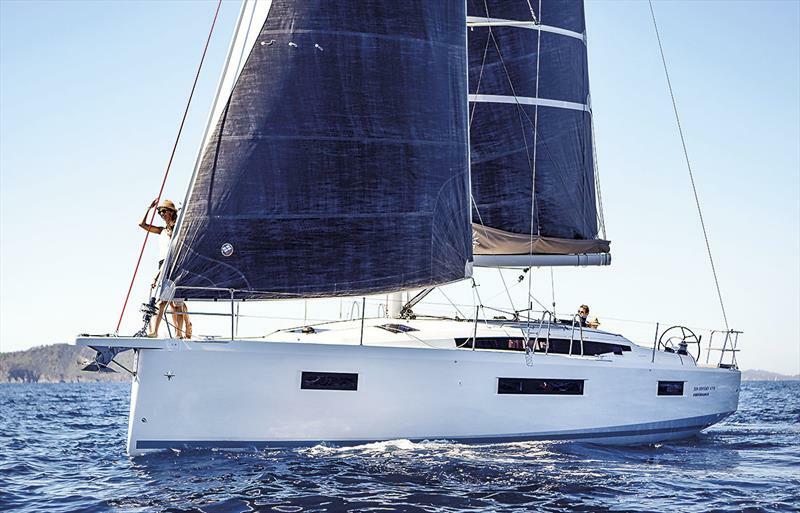 "Jeanneau has his own aesthetical codes, and marketing line for Sun Odyssey. 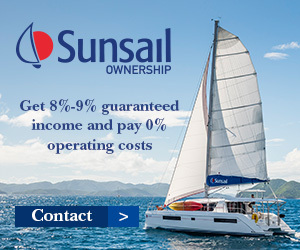 Obviously it is based on analysis of what the typical Jeanneau clients like. For this reason it is based on solid foundations, but is also ideas 'from the recent past', and does not reflect what they would like in the future," said Lombard. "We always manage to add new ideas, and to push them forward. If it becomes right commercially, then it enters the 'aesthetical code'. Inverted curvature, which is logical with stability, internal volume, and the aesthetics of a stern not too high from the water came into being like this. So too the recent fore overhang, inverted bow, which is a direct a consequence of it, large bow section, which gives internal volume, and it also gives more power, without an increase in beam." 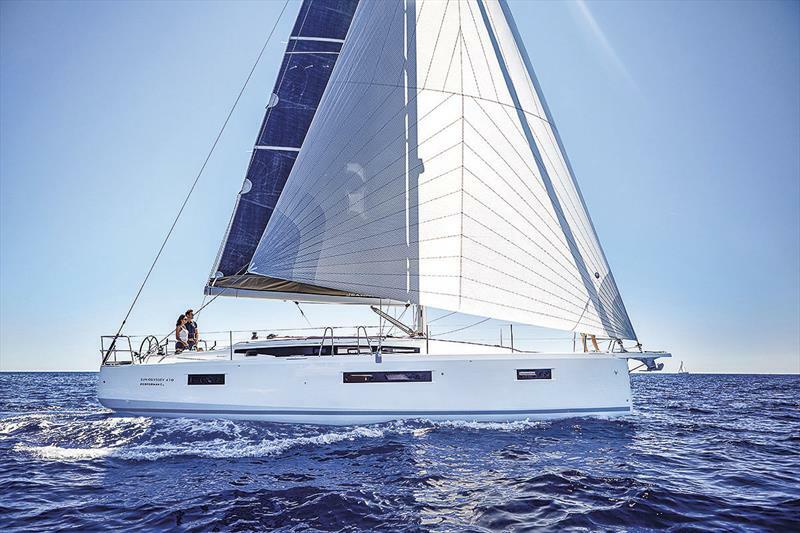 "Obviously we had to push them a bit, but with past success of Sun Odyssey 349, Jeanneau are trusting us more and more on our feeling on evolution... Not revolution!" So the Sun Odyssey is certainly a very impressive craft. She measures 42 feet, not including her prodder, and at just under eight metric tonnes it's a really good start. So then what was the genesis, and how did Lombard's team implement it all? 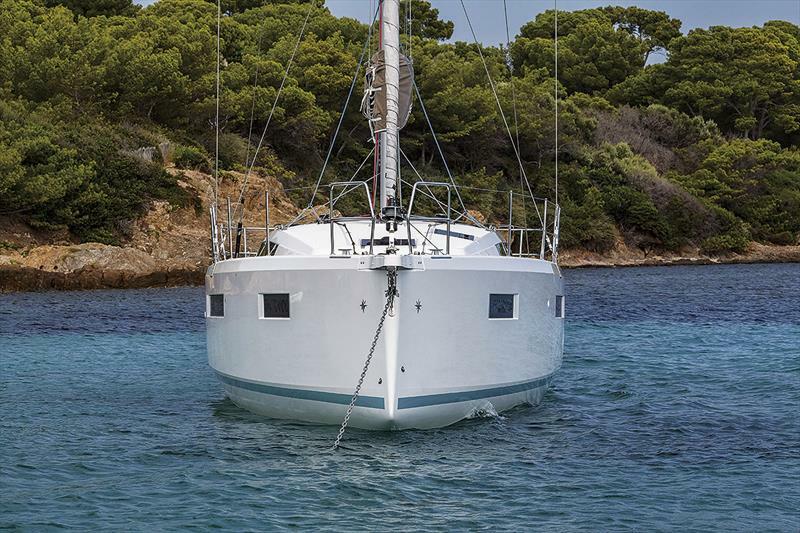 "We work a lot on optimising structures with the Jeanneau Team. The resin-infusion process has helped us to achieve a strong and reasonably light hull and deck. 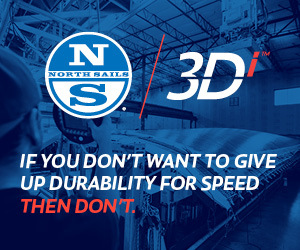 In fact, this boat is not lighter than its predecessor, but offers more power when sailing, less drag (not more wetted area), and then overall it offers so much more volume!" "All of this is obviously a consequence of our research work in the racing department, in which we made large steps recently in IRC and Class 40 vessels." Note here that one of Lombard's latest designs, Veedol, was the winner of the Class 40 in the recent, and utterly brutal Route du Rhum. And so the spectre of the crossover between racing and cruising appears once more. We have been talking about in these pages for the last few years, so none of it should come as any surprise. So with that wonderful segue, and given all of their work in Class 40s and also the sensational Minis, the question would be, will the scow bow make it over to cruisers? 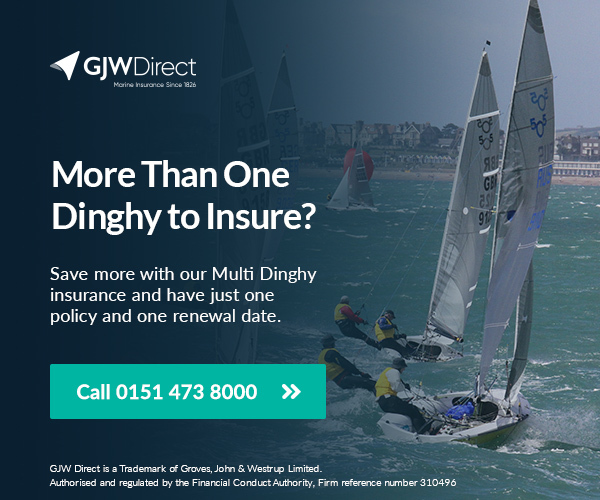 "I'm not certain that 'radical scow bows' will work on cruising boats, as displacement is too important, and the boats will therefore be unsafe in heavy seas. We will not apply a fashion rule. In this particular case, it has to be adapted to the reality of a cruiser. Really good designs are never fashion, for fashion always dies one day. Fashion and aesthetics are the opposite of really good design. It has to be all about function, and I believe my team is good in making function into the reality of design!" Now if all the new innovations look very IMOCA 60, or Class 40 like, how does one provide living space with things like a low freeboard? 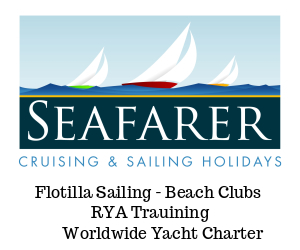 "We feel that some progresses are worth declining on cruising boats. You have to be very careful, as displacement is very different from those classes to that of a cruising vessel, and all the ideas embodied in those types of classes have to be adapted to cruising." So in a case of really stepping up the ante, the reverse or dreadnought bow of the Sun Odyssey 410, with its knuckle distinctly airborne, as it were, offers an advantage with manoeuvrability, but is there anything else? "You're right. Overhang does give the helm a highly improved touch, as the nose does not dig into waves, such as with older generation boats." "The reverse stem is logical with the enormous amount of available volume on forward sections of the boat. Under the IRC rule, the fore overhang has also has a rating advantage, as there is a decrease in waterline length for the calculation and also a smaller wetted surface area for working in light airs. Of course at heel angle, and as soon as the boat moves quickly, the waterline length increases right to the stem (as well as transom), and thereby affords the long flotation." Now the Sun Odyssey 410 is available in only a 40hp shaft drive configuration. So clearly drag was not too much of a consideration for the speedster. Lombard remarked, "This was a technical decision from Jeanneau, not from us. It is about the comfort of the customer. They cost the same, but there is less maintenance with the shaft configuration, for the sail drive's water seals have to be changed every five years, which requires a partial removal of the engine. Sincerely, both solutions are good, however." As we began to finish up I asked Lombard, as a graduate of the renowned Southampton Institute of Technology, why it was that this school generates so many revered Naval Architects? "It is simply that for a long time it was the only school for sailing people that want to become naval architect with a general approach." As for the elements he is most pleased about with the Sun Odyssey 410, Lombard reflects, "It's a total good compromise. She is fast, almost very fast, provides for a big volume below, and has nice ergonomics. There are also streamlined lines, pleasing aesthetics, and it is all there for a reasonable price. She has all the keys to success!" OK. Today you will find that we have information for you about adventures with the ARC, Outremer 4x, two Chinese sailors and their Lagoon, Townsville says no to single use plastic, looking out for right whales, Florida's red algae explosion, red diesel, Renolit Dolphin S coating for your boat's underside, Perini Navi, Spinlock, our video of the new Beneteau Oceanis 46.1 has been polling very well, thank you, as well as much more. Greek Government announced that it had implemented the TEPAH, commonly known as the Greek Cruising Tax. Initially it gave vessel owners just 10 days to pay the tax, but thanks to intervention from the CA this date has been delayed to April 2, 2019. Corona announced that it will pilot plastic-free six pack rings in select markets as part of the brand's commitment with Parley for the Oceans to lead the industry with eco-friendly packaging. ARC+ St. Vincent: Farewell to Mindelo - See you again next year! Cruisers, racers, and multihulls; sleek ocean racing machines, alongside comfortable family cruisers; superyachts with professional crews, and excited couples living the dream - these were the boats and sailors departing Las Palmas de Gran Canaria today. 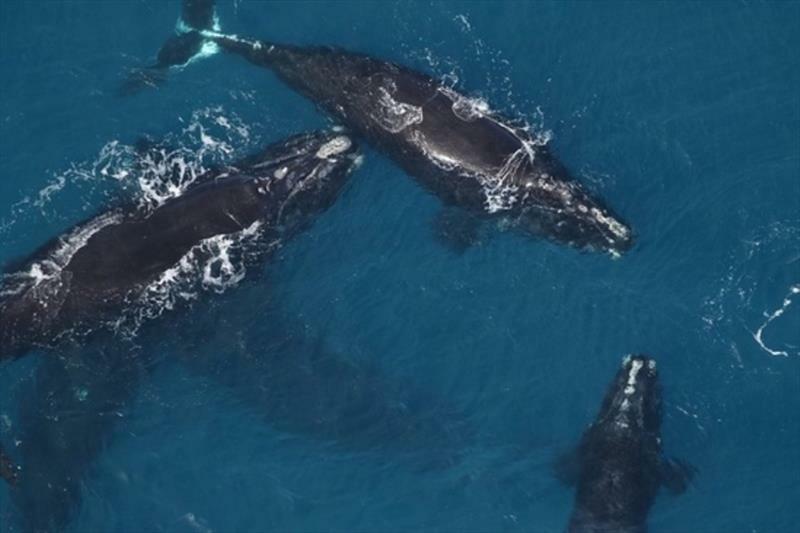 With an unprecedented 20 right whale deaths documented in 2017 and 2018, NOAA is cautioning boaters to give these endangered whales plenty of room as they migrate south. More and more Lagoon owners are sharing their round-the-world journeys with us, especially those who come from the more mature sailing markets. Today, we turn the spotlight on a Chinese sailor named Xu Jingkun – a born adventurer. The baby sister to the Outremer 5X the 4X is one of the hottest looking catamarans under 50 feet. Watch the video to take a tour with Brent Vaughan at the Cannes International Boat Show. Massive fish die-offs were just one of many concerns fishermen raised with NOAA scientists during workshops held in the summer of 2018. In effect, following the Court's ruling, the expectation of the European Commission is that the UK must stop allowing the use of red diesel for the purposes of propulsion of a private pleasure craft and must therefore switch to white diesel. We spoke to Andy Yeomans of Grapefruit Coatings and Sébastien Charles of RENOLIT about the RENOLIT DOLPHIN S coating which substantially limits growth on the underside of your hull. It's the age of information, and global technological advancements have revolutionised our lives and industries alike. 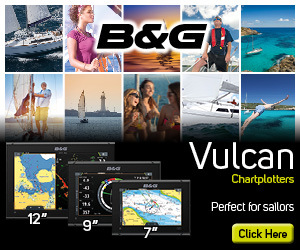 As with many others, the sailing industry has benefitted from the introduction of marine electronics that make it easier. 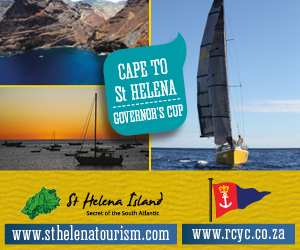 The ARC+ fleet got under way with very light winds today as they set out on Leg 2 from São Vicente in the Cape Verde Islands to Saint Lucia. Perini Navi, the world's leader in the design and build of sailing and motoryachts, announces the sale of the second 42-meter sailing yacht in the E-volution line. If you read these pages even infrequently, then you'll know I have a thing for the Jeanneau Sun Odyssey 490. OK. Maybe even more than a thing…. 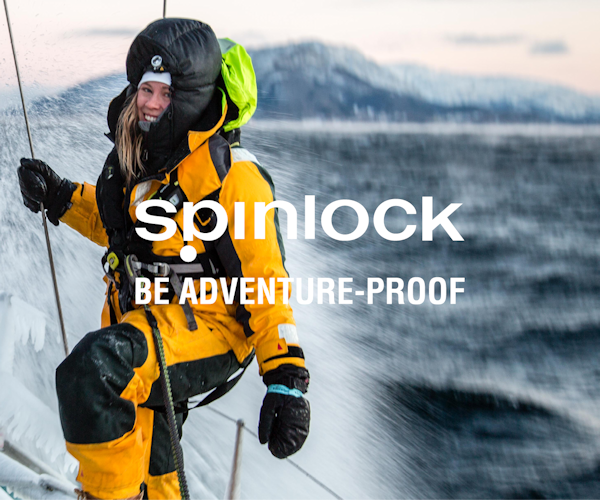 YachtsandYachting.com spoke to Ash Holmes at the METS 2018 marine trade fair, about the DAME Award that Spinlock have just won in the marine electronics category.